Morwhenna. The Creative Adventurer: Reduce Month - The joy of re-purposing! 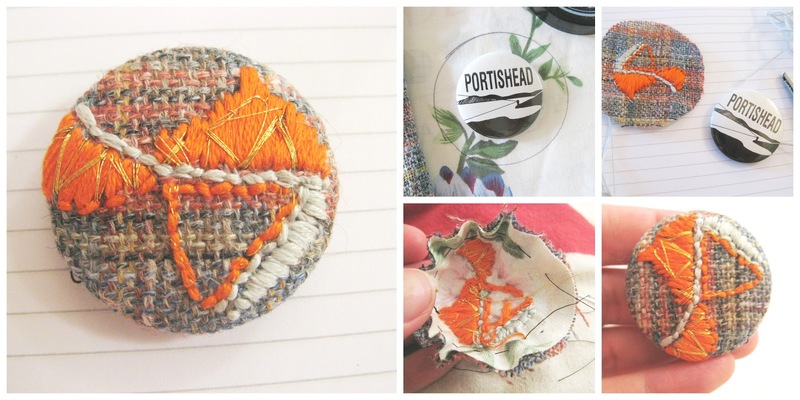 I've re-purposed the 'Portishead' pin badge! I made it up as I went along. And I like it! Then I played and some shapes appeared....I found it really relaxing. When I turned it over to start putting it together, I noticed what looked like Nefertiti!! Can you see her? It's now pinned to one of my jackets ready for it's first outing.